RnR Wine Bar is a newly refurbished bar situated on Chingford Mount Road. 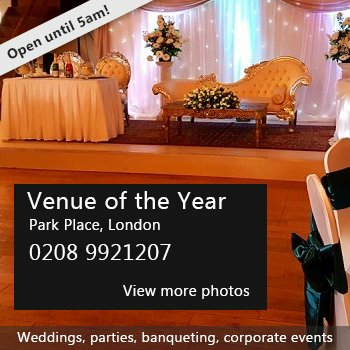 The venue is for hire for any occasions at a very competitive price on any day of the week. We consider our Venue as the perfect location to hold your party which ever one it is i.e Birthdays, Engagement, Xmas Party or even in bad times a funeral service and we provide the best customer service at all times guarantee. You can bring your own Food and even your own DJ as we are fully equip with music equipments i.e speakers, Amplifier and a mixer with two decks. The Venue is usually open on Thursday from 7pm till 1am, on Friday and Saturday from 8pm till 2am and on Sunday from 7pm till 1am. It have 2 floors, a maximum capacity of 150 guests and a fully stocked Bar with all your favourites Alcohol and Soft Drinks Beverages. We promise to make your party a success and feel free to call us for a quote. Hire Costs: The Venue hire cost varies as it depends on your events. There have been 0 reviews of RnR Wine Bar. If you would like to send RnR Wine Bar a booking enquiry, please fill in the form below and click 'send'. Perhaps some of the following halls within 5 miles of RnR Wine Bar would also be of interest?